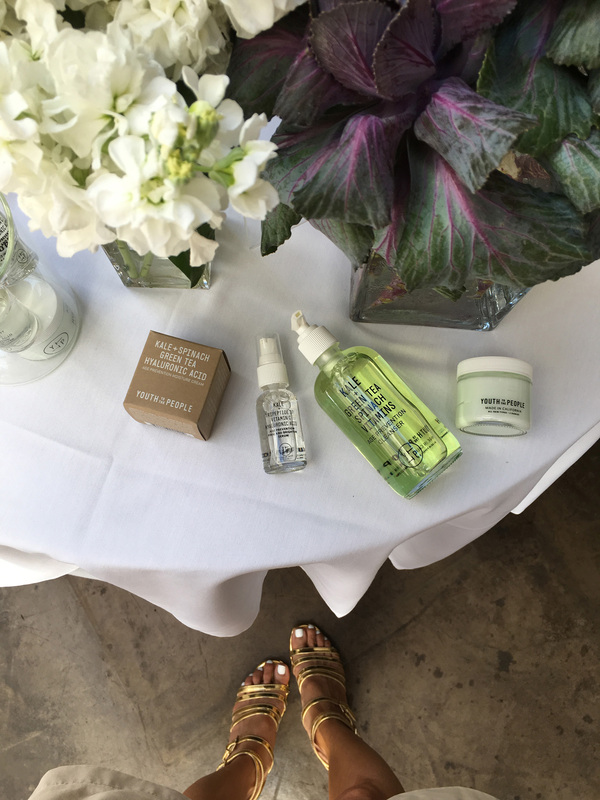 As a beauty editor at Composure Magazine, and previously as EIC at Audrey Magazine, I go to a lot of press breakfasts, lunches and cocktail parties (though all three never fail to have at least a mimosa on hand to lubricate attendees and make them more amenable to the message). Other than the free booze (where else do you have an excuse to drink at 11 am? ), what I love about these events is really getting a behind-the-scenes look at the beauty brands and their products. We often get to meet the founders and hear directly from them what inspired them, what they love, and little tidbits you would’ve never known about the brand or product just by reading the Sephora description. A good example is the Vita Liberata press event I went to a couple months back — celeb makeup artist Allan Avendaño not only demonstrated the various self-tanning, bronzing and blurring products offered by the British self-tan line, he gushed so convincingly about prepping the models for the Sports Illustrated Swimsuit Issue with Vita Liberata (he says he’ll never go back to any other self-tan line because it made his job so easy and not fraught with anxiety the night before the shoot) that I was instantly won over and indeed found the products to be my new holy grail of self-tanning. So when I saw the email in my inbox inviting me to a press breakfast for something called Youth to the People (YTTP), I was curious. It sounded like an American Apparel-esque casual wear line, but no, it was a new skin care line. And boy, am I glad I went because this line is creating a lot of buzz — even Sephora has discovered it, so look for it to hit shelves come fall. 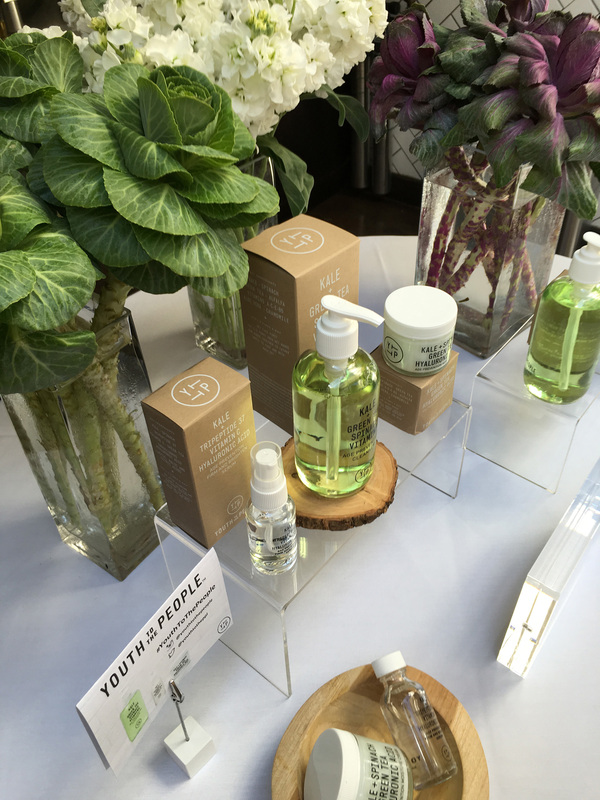 Building upon their grandmother’s skin care line (which explains how two hipster guys ended up in the business — “We knew what hyaluronic acid was at 10 years old,” says YTTP co-founder Greg Gonzalez), cousins Gonzalez and Cloyes aimed to combine botanical superfoods with solid science to create products that are 100% vegan, nutrient-rich and clean. 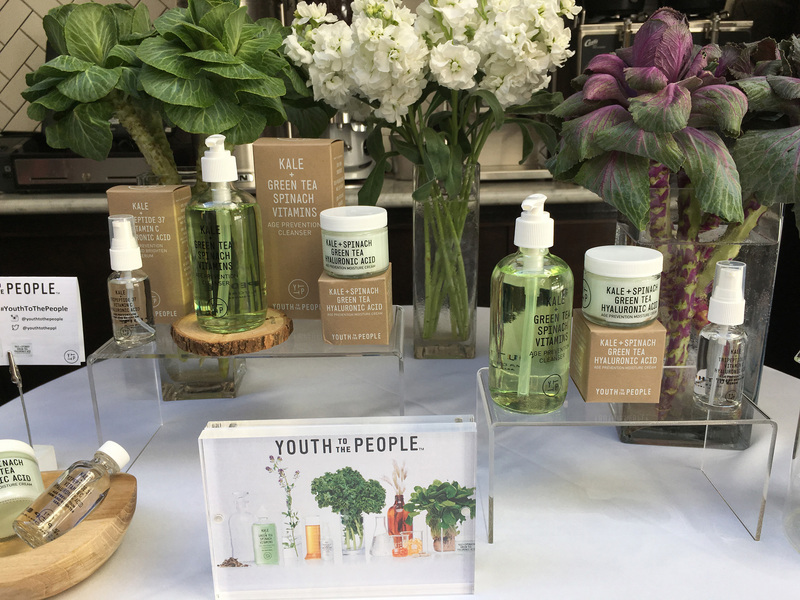 They worked with a chemist to formulate cold-pressed extracts made in small batches to ensure the phytonutrients of kale, spinach and alfalfa are retained, as well as must-have ingredients like hyaluronic acid, peptides and vitamin C for proven anti-aging benefits. And, like the cool, young entrepreneurs that they are, Cloyes and Gonzalez ensure everything is made in California, including the earth-friendly packaging. 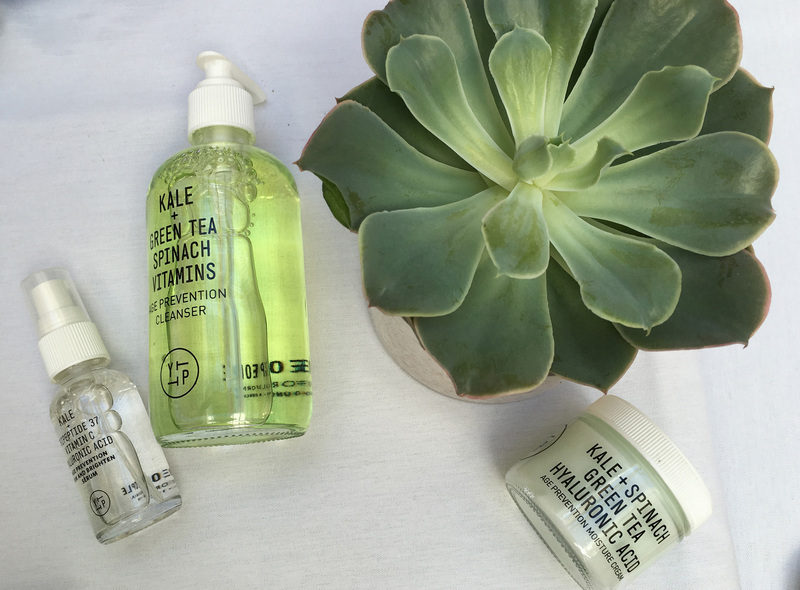 And perhaps best of all, YTTP skin care is formulated without sulfates, phthalates, parabens, synthetic fragrance or color, all baddies in the ingredient department, and use only gentle preservatives to keep the products bacteria-free. 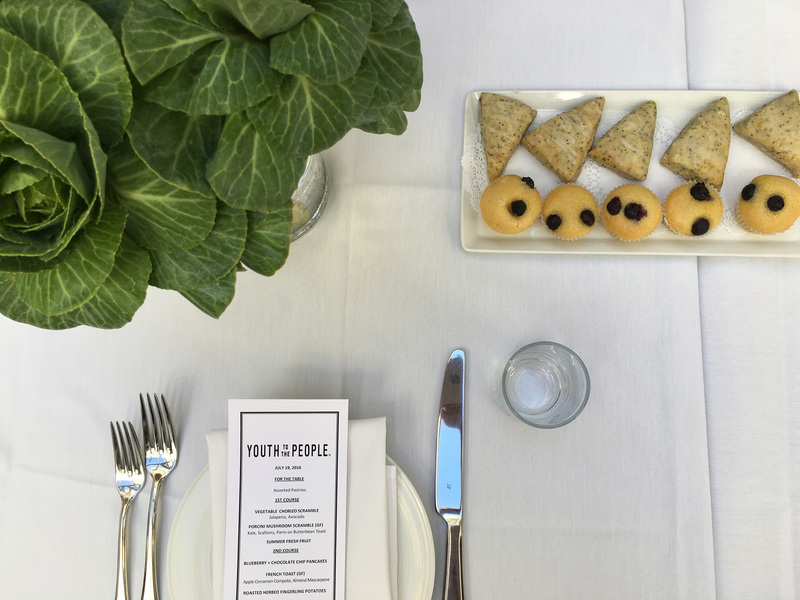 A side note on the actual breakfast itself: This one was held at the press event-favorite Crossroads Kitchen in Melrose, a Mediterranean vegan restaurant. But lest you think we left starving, the menu included Veggie Chorizo Scramble, French Toast with almond Mascarpone, a Porcini Mushroom Scramble, and plenty of muffins and scones. Love reading your press events blogs! Sounds like so much fun. Sounds like a lovely brand and the packaging is amazing.